Marshall took three carries for nine yards and four catches for 30 yards in six games with the Redskins in 2018, adding 114 yards on six kickoff returns. Analysis: Marshall has spent time in Washington, Philadelphia and Carolina through the first three seasons of his pro career, typically serving as a No. 3/4 running back and occasional return specialist. He's yet to show any of the explosiveness he had at the University of Oregon, and he'll likely land on the roster bubble in 2019, be it in Washington or elsewhere. Marshall can become a restricted free agent during the offseason. Marshall hauled in his lone target for a 17-yard gain and returned two kickoffs for 31 yards in Sunday's 16-13 win over the Jaguars. Analysis: Marshall's role as the No. 3 running back was cemented Saturday when the Redskins released Kapri Bibbs. Barring another injury to Chris Thompson, there isn't much room for Marshall to get involved on offense over the final two weeks of the regular season. 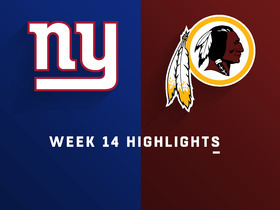 Marshall had one carry for four yards and three catches for 13 yards in Sunday's 40-16 loss to the Giants. Analysis: Marshall primarily played special teams for the first three quarters, eventually getting some touches on offense to prevent Adrian Peterson and Chris Thompson from taking unnecessary hits in a blowout loss. There isn't any reason to expect more work for Marshall in a Week 15 road game against the Jaguars. Marshall played 17 of 75 snaps (23 percent) on offense in Sunday's 23-21 loss to the Texans, finishing with two carries for five yards and no targets. Analysis: Filling in for Samaje Perine (calf/knee) as the No. 3 running back, Marshall returned from injured reserve and unexpectedly got one more snap than Kapri Bibbs, who now has just 27 touches on 125 snaps this season. Marshall is a legitimate threat to take over the passing-down role if Chris Thompson (ribs) misses another game Thursday in Dallas. 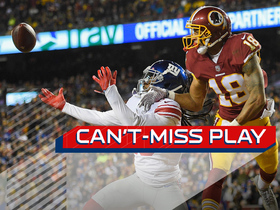 Of course, it's hard to find cause for optimism with the injury-ravaged Washington offense. 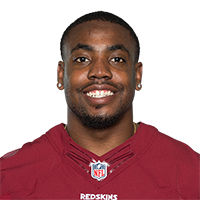 The Redskins officially activated Marshall (knee) from injured reserve Saturday, Kareem Copeland of The Washington Post reports. Analysis: No surprise here, as coach Jay Gruden hinted this was likely to happen. Marshall resumed practicing Oct. 31 and avoided any further setbacks with his knee. The move is somewhat out of necessity, as Chris Thompson (ribs) and Samaje Perine (calf/knee) have been ruled out for Sunday's matchup with the Texans. Thus, Adrian Peterson and Kapri Bibbs will be the only healthy running backs ahead of him on the depth chart. Coach Jay Gruden suggested Friday that the Redskins would ikely activate Marshall (knee) from injured reserve prior to Sunday's game against the Texans, JP Finlay of NBC Sports Washington reports. 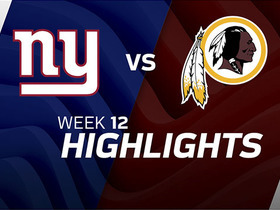 New York Giants cornerback Janoris Jenkins returns an interception for the score to tie up the game.